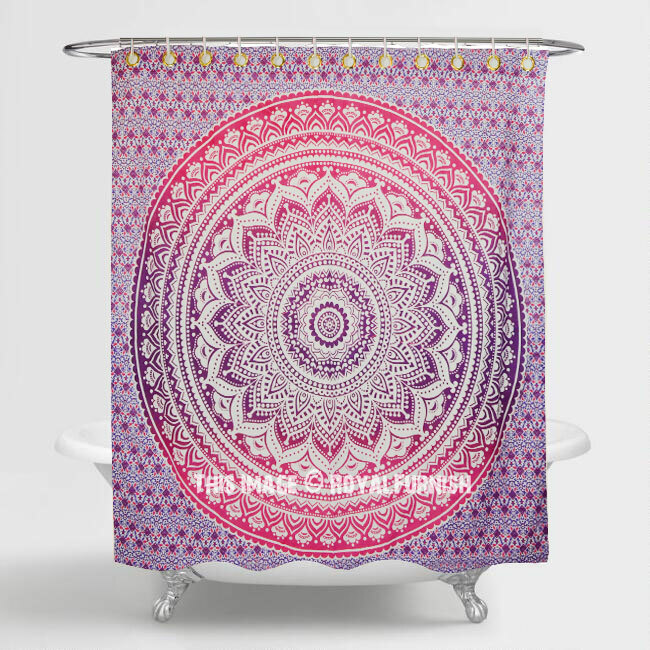 Update your bathroom with medallion circle shower curtains. 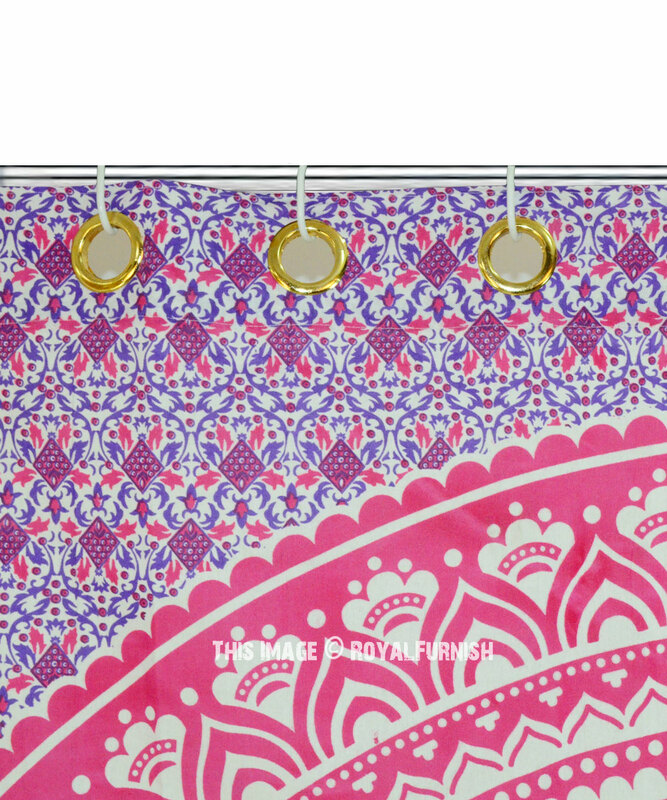 The elegant, all cotton curtain completes any bathroom with its round mandala circle in vibrant color. This unique accent will tie your space together through its bold use of vibrant colors. 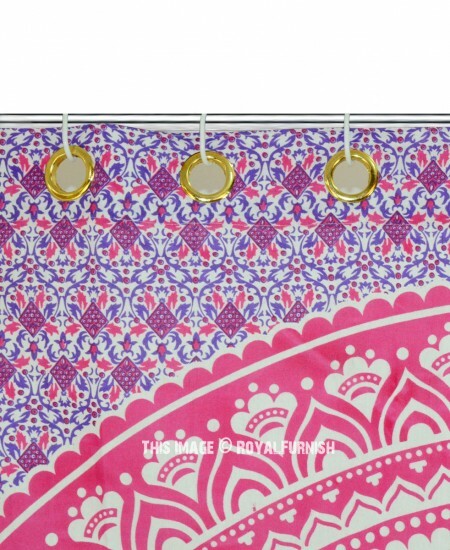 These shower curtains quickly enhance the look of your bathroom. Dimension: 70'' x 70'' Inch (177X177 Cm.)Approx. 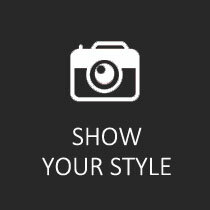 Note: hanger rings are not included. 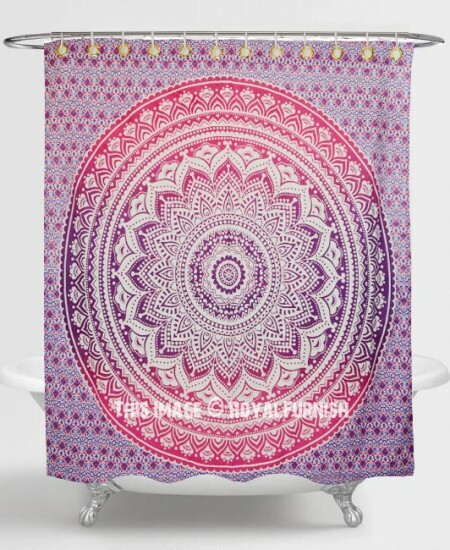 Pink & Purple Classic Ombre Mandala Boho Tapestry Shower Curtain added to the cart!